-We went in semester two, British semester one, during Australian winter/spring (but tbh there is only one season here in WA and that is summer!!). 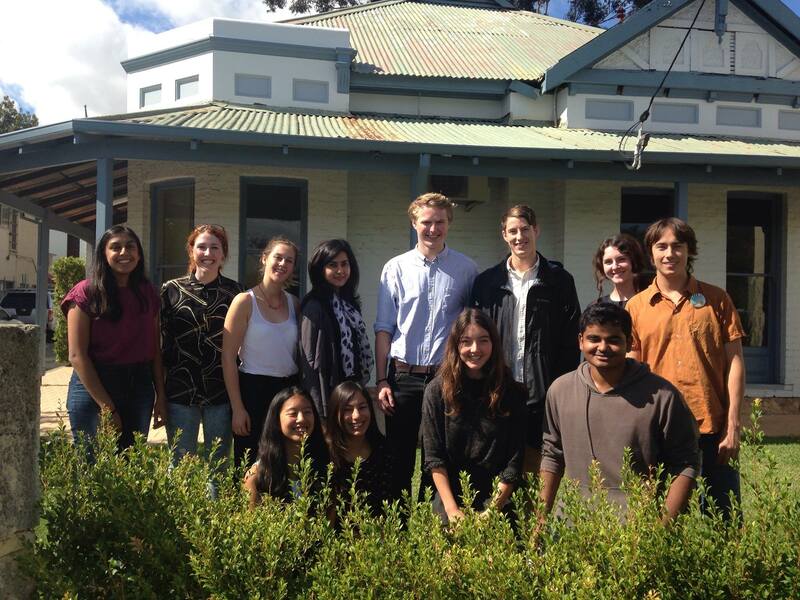 -I live in college so we went in a group of ten (both Aussies and exchangers) from my college. -It took us a week in total to drive up to Exmouth and back down again. -I broke my finger the day before we left so I could only snorkel for one day as my cast was not meant to get wet. The pink lake! It looks even pinker in real life, and the ground is covered in a thick layer of salt. Turquoise bay, which has officially ruined beaches for me, as it is so lovely. Monkey Mia because when we were hanging out during the night, a dolphin came and swam alongside us for about 10 minutes (sadly I didn’t manage to film this). Where: Rottnest Island, Western Australia. Rottnest Island a ferry ride away from Perth, is one of the ‘must see’ places I had been told to visit since I moved to Western Australia. For any of my fellow geographers, Rottnest is a sandy, low-lying island formed on a base of aeolianite limestone. Alongside Garden Island, Rotto is a remnant of Pleistocene dune ridge. The island was separated from the mainland about 7000 years ago due to sea level rise. However, human remnants have been found on the island dating back 70,000 years. The indigenous people of land known as the Noongar people, call the island Wadjemup and lived on the island before it detached from the mainland. The island is around 20km and we managed to explore it in a day. We hired bikes, stopping off and enjoying hidden beaches throughout the day. However, we plan to go back for a weekend and camp over-night. The wildlife in Rottnest is what makes it so special. Extensive reefs surround the island, that you can see in the incredibly clear water as you arrive by ferry, and snorkel in the warm waters. Bottlenose dolphins and migrating humpbacks are welcome visitors of the island and the Perth canyon just off the island is one of the main habitats for blue whales in Australia. Overall, the absolute highlight of Rottnest or as the Aussies call it Rotto. Aside from the great views, beautiful beaches, amazing snorkelling or enjoyable cycling tracks are the super friendly quokkas. These little creatures are marsupials, and like kangaroos carry their joey’s in their pouches. They are about the size of a cat and just as friendly, allowing you to approach them seemingly unfazed by humans. The island actually gets its name from the Quokka. In the 1600’s Dutch colonisers believed the Quokkas to be giant rats, and thus named the small island ‘Rotte Nest’ after the Dutch word Rattennest meaning rats nest. Rotto is one of the few areas in the world where the native quokka can be found. This is due to the exclusion of natural or introduced predators. Their only predators being snakes, who thankfully aren’t as friendly. Known as ‘the worlds happiest animal’, Quokkas are celebrities on the island with many trying to get a quick pic with the creature. The picture that made the Quokka famous (2012). Roger Federer and a Quokka. If you close one eye and squint, it looks like Michael Buble and a Quokka. I can’t wait to go back and visit this rare and uniquely beautiful island, and hopefully meet up with some more Quokkas. This is not a goodbye Australia, but a see you later. When I was told that I would have to write a series of blogs for the global ambassador programme, I had assumed that my final blog would be about how I was looking forward to going home and seeing my family. Where this in part is true, my biggest fear right now is leaving Australia and going back to life as I knew it before. The truth is Australia has become my home now and the thought of going back to Manchester actually scares me a little. There is a blog circulating around social media talking about the things people don’t tell you when you go on a year abroad and reading it I couldn’t help but feel that this was going to be me upon my return home (link below). Yes I am excited to go home and see may family and friends, to see how much my nephews have grown, and to see what has changed since I’ve been gone, but a large part of me just isn’t ready to go back yet. I know for a fact for the first few weeks seeing everyone and catching up with them will be great, but once that stops ill find myself yearning to be back in this Magnificent country. I have always thought of my self an an independent person, but coming on this year abroad has just proven it to me further. I value friends and family, but I also value the opportunities you get in life to travel, explore and push your own emotion and physical boundaries and this has year has done just that. I often sit back, look at my bank account and think; Geez its been an expensive year, but then i remember all the travelling I’ve done, the memories I created and the people I’ve met and I wouldn’t change any of it. All the experiences I’ve had have created a fire that wants to continue to create more memories, experience new culture and meet new and interesting people from all over the world. If anyone asks me how much Ive spent, ill happily tell them, but i will also follow with how I’ve spent it. I like to think i have made the most of my year abroad and would urge anyone else going on a year abroad is to grab the experience with both hands. The opportunities you get when your away may never happen again. If the local residents invite you into there homes, take it. If they invite you to go away for the weekend, accept it. It is often to local people that can give you the best opportunities whilst your away, as they know all the best spots. It hasn’t always been an easy ride out here, there has been many occasion where I’ve felt guilty that I haven’t gone home due to the death or illness of a relative and when I ended up in hospital myself over Christmas I began to feel what it must be like for my family back home. However despite this, my parents have never urged me to go home and part of me thanks them for that as I’ve been able to experience some incredible things out here. I’m coming out of this experience a better person, with a wider friendship group, with some of the funniest and nicest people I’ve met and can see that longtime friendships have been formed. We all arrived as slightly lost exchange students and we’ve all grown together. Independence, confidence, self motivation and courage are all character traits that’s have only progressed and improved since being here. I have spoken to the fellow Manchester students about there thoughts on going ‘home’, none of us are ready and in fact at least four of us have said we will be returning as soon as is possible. Personally I have plans to try and locate a job out here within the environmental science field. To put this in to perspective I’m writing this blog at three in the morning, the day before i leave, as I lay awake contemplating what my next move is going to be. Right now I’m not ready to go home. My advice now is to anyone thinking of going on a year abroad, is do it. You will have your reservations and doubts and you may hesitate to make a decision, which is normal, but from me to you, you will not regret that decision to go, initially it will be hard to say goodbye, but the people you met, the experiences you have make it all worth while. 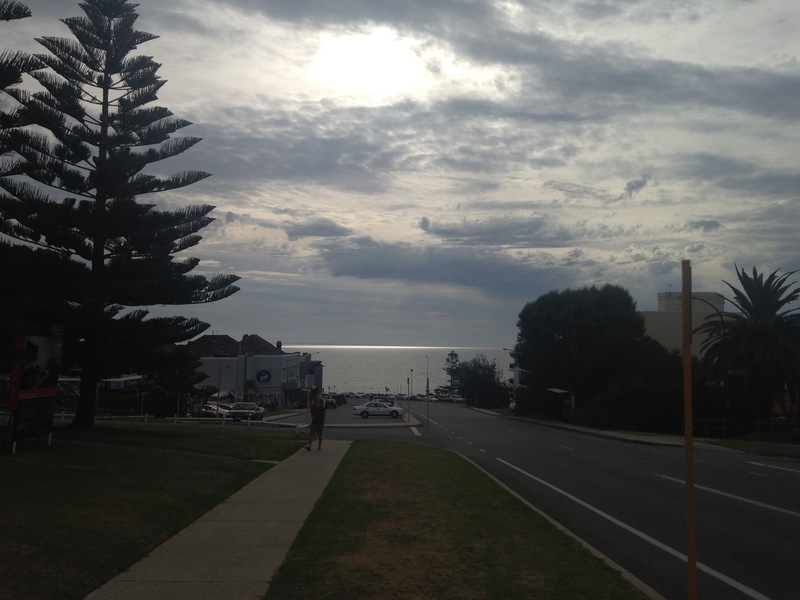 And if you are anything like I am right now, I’m having a hard time saying goodbye to Australia, so I’m not going to. Plans to return are already underway and I’m hoping to be back very soon. Down by the Blue Boat House. So I’ll catch ya later Perth! This is my second post in a very short space of time. But I’ve finally finished, my first semester here at UWA. I’ve had a total of fourteen assignments and 3 exams, which actually means I’ve done more work then I would have in Manchester! Apparently there is a ruling here that exams can only be weighted a certain percentage, so my exams were only 40% which is at least 20% less than back home, plus in some you don’t even need to pass the exam to pass the unit. However, Australian universities seem to look their assignments and particular group ones! The system over here works on a continual assessment basis, hence why I had so many. This has led me to have mixed responses to the units I have partaken in this term, in which I took all Earth science units. So it’s been a while since I last posted, but Australia is keeping me very busy. This blog post is seriously long overdue but I hope you’ll all still be interested, but it will probably also be very long, I apologise! The mid semester break saw us travelling in excess of 3000km North along the beautiful Western Australian coast, for a total of 10 days. Day one saw seven very excitable girls, trying strategically pack all belongings into one very small boot. We had a one backpack limit for each person, but obviously there were some people who did stick to this, which meant it was time for a game of Tetris. We left on a Thursday afternoon and out first stop was at the Breeze inn lodge in Dongara, a very small time with not much to offer. This was only a overnight pit stop before we headed to explore the town of Geraldton, for the afternoon before driving another two hours to Kalbarri. This was to be our home for the next two days. Sadly, the end of my time in Perth is rapidly approaching: yesterday, I had a horrible moment of realization that I only have three days left in this beautiful corner of the world! This penultimate study abroad blog will reflect upon everything I haven’t covered thus far, to both keep you informed about my final couple of months at UWA and hopefully raise my spirits during a period of somber farewells. The midterm break during my semester abroad provided the ideal opportunity to explore Australia’s west coast, which has proved to be the highlight of my study abroad exchange so far. 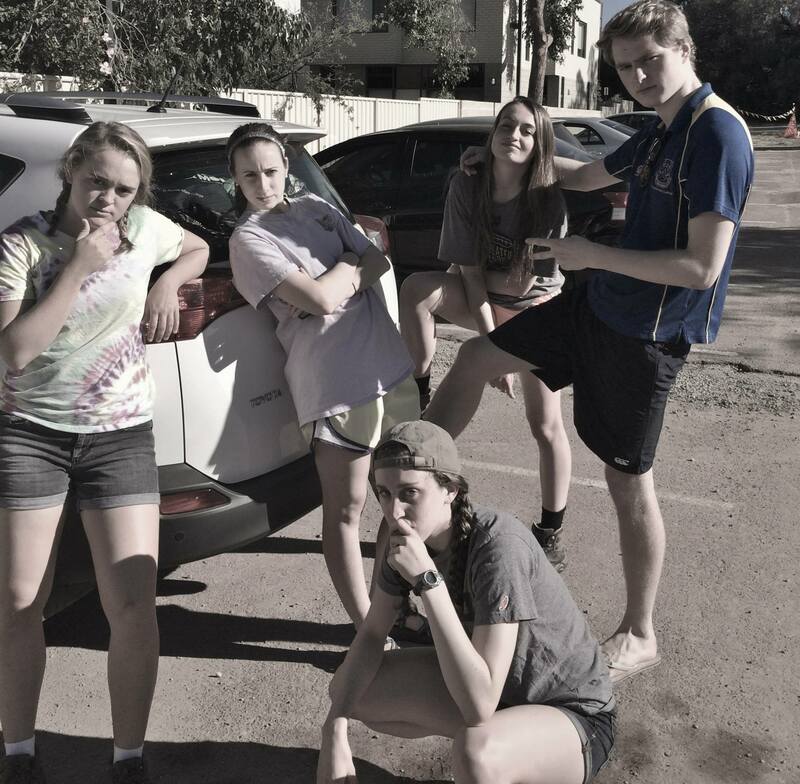 Having excitedly planned the trip in the preceding weeks, I took to the road with nine of my fellow exchange students, cramming a week’s worth of food, sun cream and ‘Goon’ (The Aussie equivalent of Tesco’s own brand red wine), into two hire cars. With a rather unfortunate amount of American pop music being blasted from our stereo, we set off on our first real adventure down under! The one downside of our excursion was our accommodation, or lack of it. Due to the financial restrictions of student life, we decided to buy $40 tents and sleep in campsites throughout the trip. 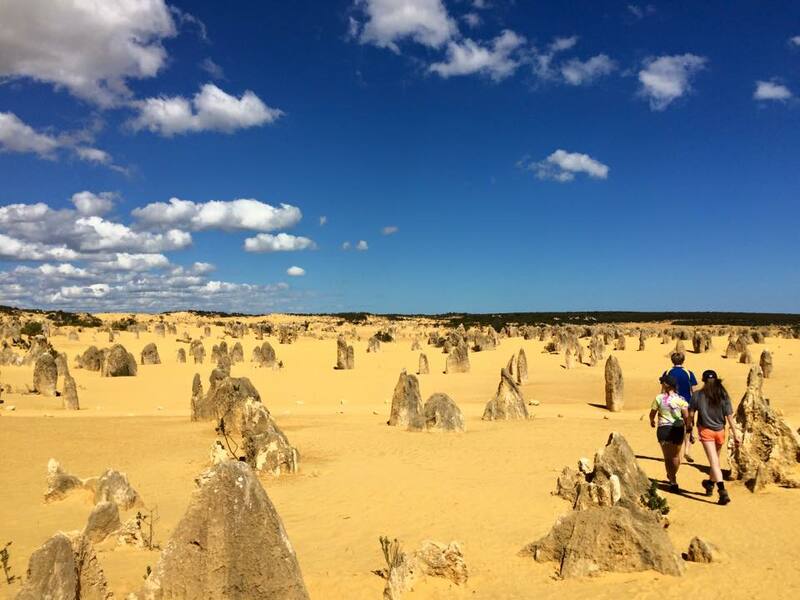 Despite the ever-present plague of flies, roughing it in Australia’s countryside whilst visiting a variety of national parks provided an authentic experience of the stunning Aussie desert. Even more incredible were the beaches of the west coast: my description of the sensational views, pure water and soft white sand they have to offer truly does not do them justice. Our visit to Shark Bay, where we wondered at one of only three surviving stromatolite formations on the globe (which provide a glimpse into the biological history of the earth), exemplifies the astonishing natural features that confirm Australia’s coast provides much more than beaches on which to tan (or burn, if like me you have an incredibly pale complexion). Our day began as we were picked up from our campsite and provided with a bus tour of Exmouth en-route to the harbour. From there, our whale shark swimming company Charter 1, which I would thoroughly recommend, provided snorkeling equipment and food throughout the day as we sailed on their boat. Whilst the company’s spotter plane flew in search of whale sharks, we were once again able to snorkel around coral reefs, this time in deeper parts of the ocean, allowing us to see both jellyfish and a baby shark. After the spotter planes found our first whale shark, however, we set off in hot pursuit. Once the boat was ahead of its target, we rapidly formed lines within the water to avoid scaring the shark as it swam. 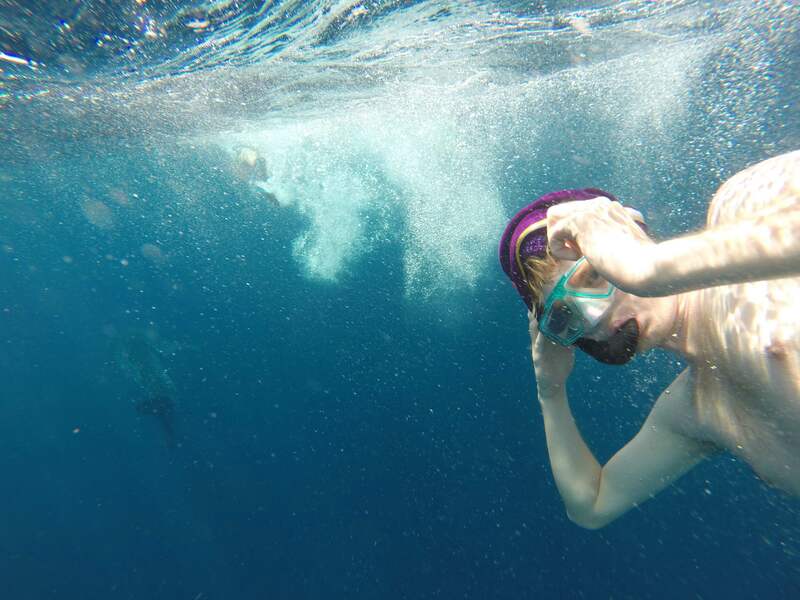 The thrill of being able to swim with such gigantic sea creatures five times over the course of the afternoon made for a truly unforgettable day. During our third swim, one shark unexpectedly changed direction, meaning we had to quickly dive to its side in order to avoid colliding with one of the largest animals on the planet! The image of an enormous shark being a mere two meters away from hitting you is one of the most terrifying, yet memorable, moments I have had thus far during my time in Australia. Overall, our trip was a truly unforgettable experience, which in my opinion demonstrates the incredible opportunities studying abroad offers to students outside of academic terms. 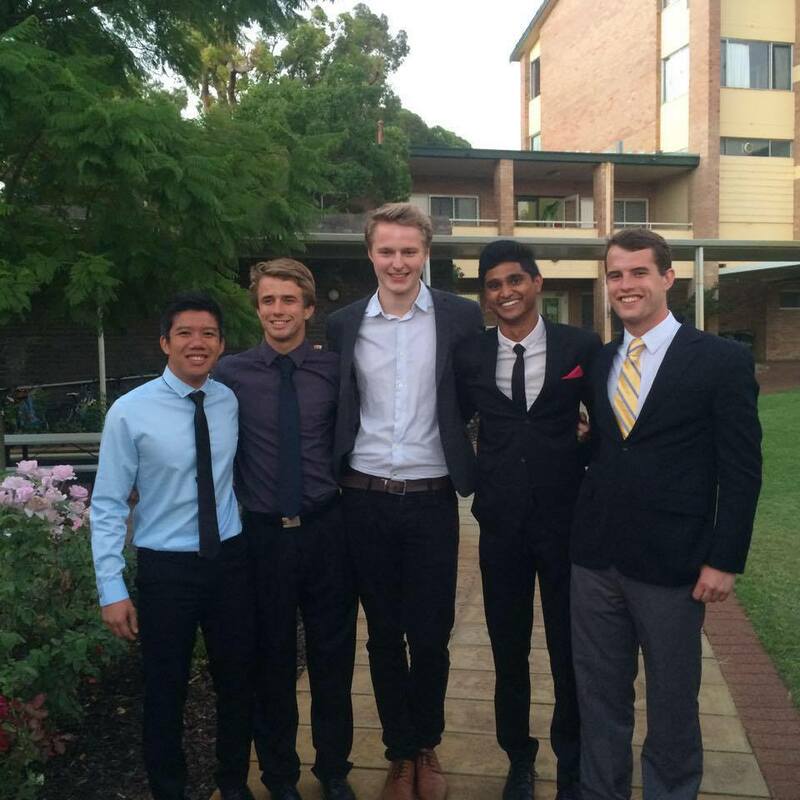 Studying abroad offers the opportunity to become truly immersed in an alternative way of learning in a new university within a different country, and I shall therefore use this blog to describe my own academic experience in Australia. Studying History at UWA followed the same basic structure of weekly lectures, readings and tutorials as my studies in Manchester. The nature of module selection, by contrast, varied hugely. At the University of Manchester, the History course provides an exceptionally diverse range of modules, covering a variety of geographic locations, time periods and ways to study history. By contrast, despite UWA advertising a similarly appealing list of course modules, unfortunately only two of these modules were run during this semester. As Manchester stipulated two of my four module selections had to be history units, these courses effectively became compulsory. This lack of choice firstly proved challenging, as I have not found the ‘City in History’ module academically stimulating. Although I would not have voluntarily chosen to study medieval women in Europe, the excellent teaching and range of course readings provided has enabled me to develop a stronger interest in gender history. The Australian university system also places much greater emphasis upon broadening units than in the UK. The Anthropology module ‘Environment, Disaster and Power in Asia’ has allowed me to gain a greater understanding of modern issues within this region, which has compensated for being unable to pursue my primary interest in studying Asian history. Furthermore, I have been able to enhance my understanding of journalism and the media through taking a communications module as my fourth course option. This has been a hugely useful opportunity, which I would not have been able to pursue in Manchester, as I have gained greater insight into the academic aspects of journalism and film production, a field I intend to pursue following my university studies. In terms of assessment, the Australian university system provides further contrast. In general, there is less focus upon examinations; indeed, I have been fortunate enough to not have exams this semester, meaning I have extra time to travel over summer (a source of much jealousy amongst my university mates). Instead, more emphasis is placed upon ongoing assessment, with weekly attendance, tutorial participation and quizzes counting for around 20% of each modules’ marks. Moreover, at around the mid-point of the semester, a shorter written piece has been required for the modules I have taken, to demonstrate knowledge and understanding of the course so far. These tasks have taken a variety of forms, but are not equivalent to a fully written essay. Finally, the most significant form of assessment is a larger essay of around 2,500 words, to be completed for the end of the semester, accounting for around 50% of a students’ grade. As these essays entail firstly a bibliographic exercise, which I recently submitted, I have found more feedback has been available at UWA, meaning I feel more confident for writing up the final essay. Overall, my academic experience whilst studying at The University of Western Australia has, so far, been more relaxed in comparison to studying in Manchester. The constant forms of assessment, however, mean you must maintain a degree of focus throughout the semester; unfortunately, you cannot rely upon a week of all-nighters in John Ryland’s Library in the last week of the semester to achieve a respectable grade.